Juvéderm Voluma XC is a non-surgical, injectable filler composed of a modified form of hyaluronic acid (HA), a naturally occurring substance found on your skin. The filler is generally used to lift and contour areas of the face like the cheeks and chin. The product is the newest in the FDA-approved line of Juvéderm fillers, which also includes Juvéderm XC, the injectable product that was originally developed for use in the nasolabial folds (or smile lines), and Juvéderm Ultra XC, which was developed for injection in the lips for fullness. The Juvéderm family of fillers is considered non-surgical cosmetic procedures that can give your face a more youthful appearance. As you begin to age, you lose hyaluronic acid and collagen, which causes your skin to lose structure and volume. Aging tends to affect the fat pads in your face, particularly in your cheeks. Cheeks begin to lose their prominence and appearing more hollow and less supple than. These common components of the aging process contribute to the formation of wrinkles and folds in your skin. The best candidates for Juvéderm XC are those that have experienced loss of volume in their cheeks due to aging, weight loss, or a medical condition. Juvéderm Voluma XC is an injectable gel filler has been FDA-approved for use in the cheeks, cheekbones, and chin. It nourishes elastin and collagen, fibers that compose support structure of your skin. Juvéderm XC is the first FDA-approved injectable gel that instantly corrects age-related loss of volume in the cheek area. This area also includes the nasolabial folds, the creases that run from the bottom of your nose to the corners of your mouth. Juvéderm XC and Juvéderm Voluma XC are designed for injection into the mid to deep dermis of your skin. Juvéderm® Voluma XC and is the only hyaluronic filler that will last up to two years, for all skin types, with optimal treatment. 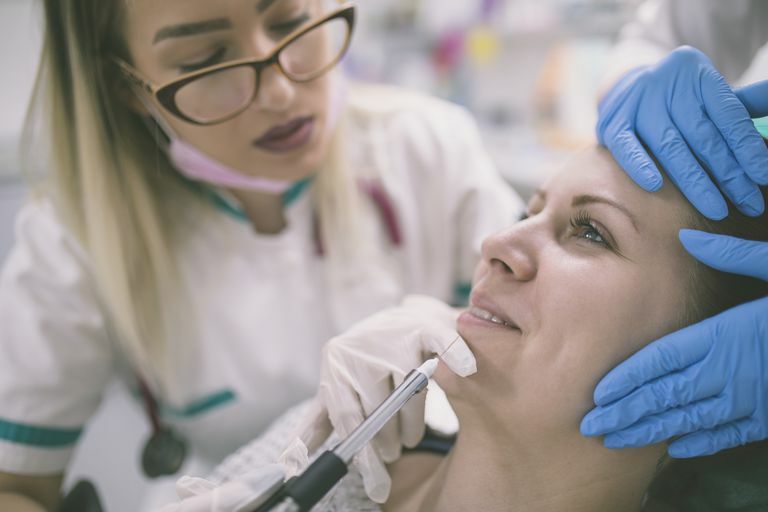 Prior to your treatment, you will need to have an in-depth consultation with your doctor so that you can express your needs and what facial features you would like enhanced. Your doctor will then be able to explain what your options are and to make sure that your treatment will meet your expectations. Juvéderm XC fillers are injected deep into your facial tissue, but it is formulated with lidocaine, an anesthetic so that you have a more comfortable treatment. Your doctor may also choose to minimize your discomfort by numbing your treatment area beforehand though many find that this step is unnecessary. The actual treatment process will be comfortably performed during a short office visit. After treatment, you will be advised to stop wearing makeup for up to 12 hours. You will need to avoid the sun, sauna, and steam room for up to two weeks. You should also avoid additional treatments in the treated area or activities and positions that place pressure on the treated area (like massage tables) for the next seven days. Juvéderm XC products provide natural-looking results by instantly replenishing lost facial volume and smoothing out the lines alongside your nose and mouth. You should notice that your face has a softer, more youthful appearance. All procedures, no matter how small, come with potential side effects. The injection of Juvéderm XC filler is no exception. Short-term side effects are generally mild to moderate and are short lasting. You may experience temporary redness at the injection site as well as pain, tenderness, firmness, swelling, lumps/bumps, bruising, itching, and discoloration. If you have severe allergies or a history of severe allergic reactions, an allergy to lidocaine or the proteins used to make hyaluronic acid, Juvéderm® XC is not for you. If you are pregnant, nursing or have a history of scarring or pigmentation disorders, let your doctor know. If you are taking medications that can lower your immune system or take medications that may cause bleeding you should discuss them with your doctor. An injection with facial filler is not covered by insurance and is considered a completely cosmetic procedure. The cost will vary depending on the type of filler used and the region of the country you are in. As a general rule, fillers that last a longer usually cost more.